Write and run Python code instantly. Is there a better alternative to Python Runner? 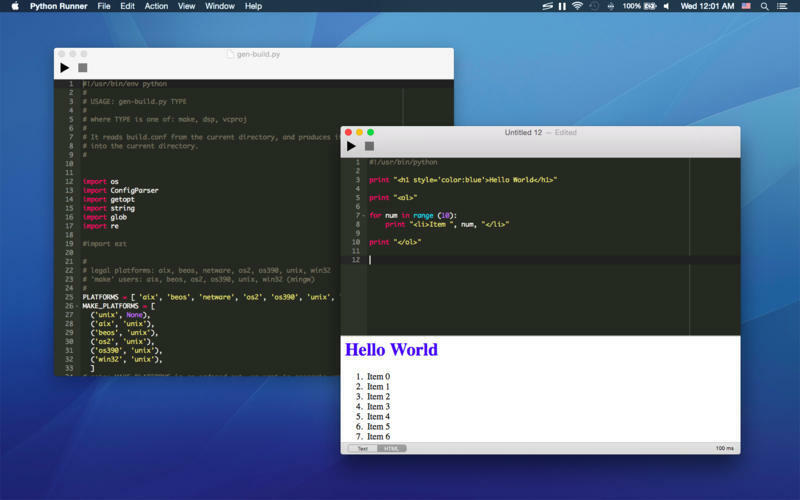 Is Python Runner really the best app in Developer Tools category? Will Python Runner work good on macOS 10.13.4? Python Runner is a handy tool for learning Python or running Python script for daily tasks. Simply type Python code and press "Command-R" to run it, that is all! You don't event need to save the file first! Python Runner needs a review. Be the first to review this app and get the discussion started! Python Runner needs a rating. Be the first to rate this app and get the discussion started!